I can’t say enough of how grateful I am for the opportunity to have been able to travel to one of my favorite places and spend time quality time with my favorite people. In the craziness of life, between work and school for the kids, it is hard to fit in a good family vacation, but we did it and it was the best Christmas gift I could have ever given to them and myself. 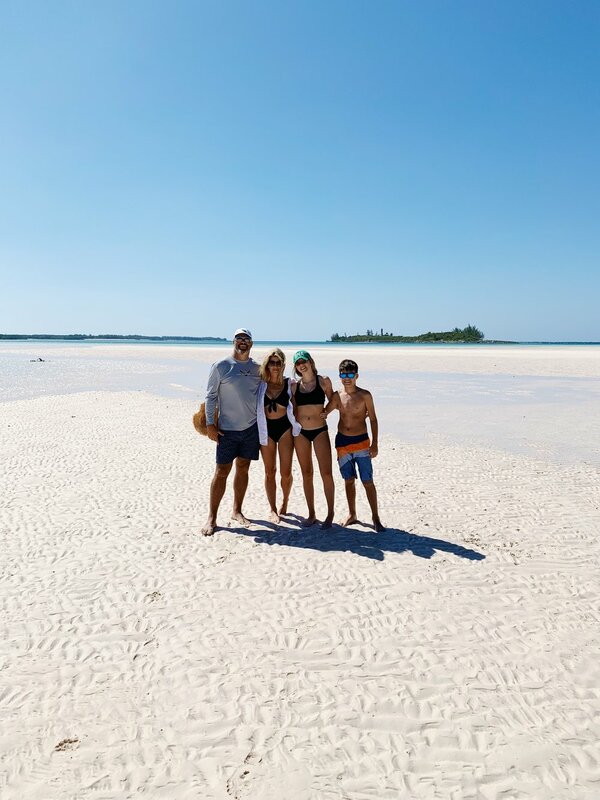 Growing up as a Floridian, we always made our way to the Bahamas via my dad’s boat for a good family trip, and I wanted to start this tradition (except we don’t have a boat or live in Florida- Ha!) with my own family. Island jumping as a kid was some of the best memories. I love the Bahamas… the people, the culture, the food, the beautiful scenery, it really is magical. I wanted to do a little round up of some of my favorite spots and places I highly recommend staying at if you ever make your way out to the most beautiful little island. 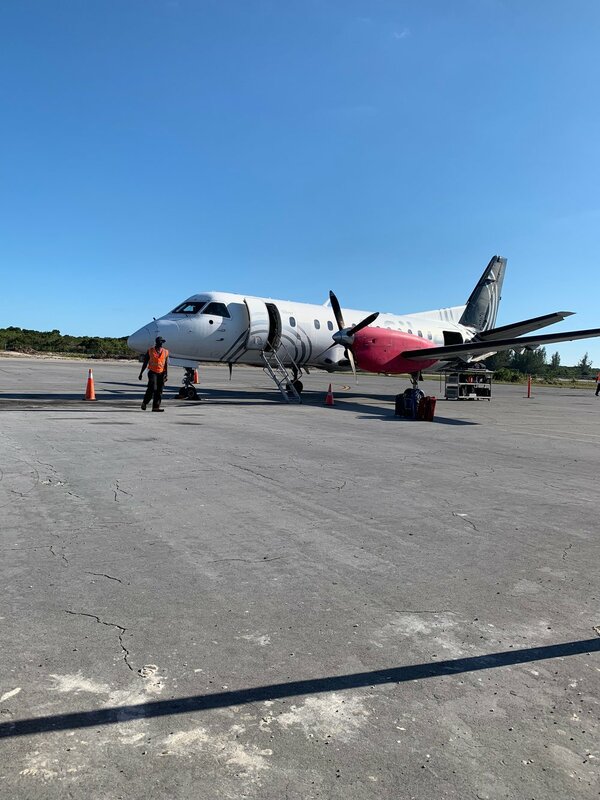 First things first, we gotta get there and man I am going to say this LOUD and CLEAR…do NOT take Silver Airways. They were not good at all and there are definitely some better options! If you are a Delta fan, they have a direct flight from Atlanta, and that is the only direct flight offered from Delta. American Airlines fans…they have 2 direct to Eleuthera, one from Miami and one from Charlotte. So if you are in South FL, definitely drive to Miami and go from there. If not, get to Atlanta or Charlotte and go direct from there. These are the best two airline options for sure as far as getting their direct. After getting to Eleuthera, you then have to get to your destination, so taxi life it is! It is not the easiest, but it is simple and gets you to the best vacation of your life. When you get your bags from the airport (aka a little place that looks like someone’s home)…you will see 50 minivan cabs waiting at the curb. You will pay $5 a person, and then you have a 3 minute drive to the water. From there, you will get out and see some water taxis. This is also $5 a person, and they will load your bags and everything. After that, you then you will take a 7 minute water taxi ride across the bay, and once arriving, find another minivan cab and pay $5 to take you to your house or hotel. Overall, it will cost you about $15 a person from the airport to the destination, but then you are there and good to go! 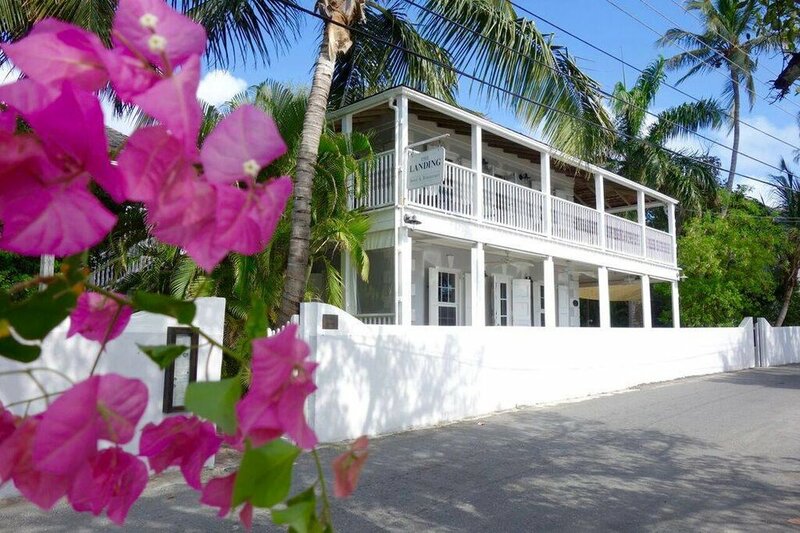 Beside the Point + Pointless - we found this gem through Island Real Estate - Vacation Rentals Ask for Alex and tell him Landyn sent ya! It sleeps 10, so it was a perfect size for this crew. It was located on the harbor side, which I like for the hustle + bustle of the island, and being able to interact with the locals. It is one of my favorite parts of visiting, getting to learn the culture and see how beautiful and peaceful people are that live there. I really wanted our kids to experience that and not be sheltered by the walls of a resort. There’s just something about getting your morning bread from someones house. It had a perfect view of those beautiful sunsets. and was a great location to everything, and to make it even better, we were greeted by the sweetest woman, Glendena. Another plus about this place, it comes with two separate master bedroom cottages in the back of property in addition to the main house and a pool, that’s not super common. They cleverly named this part of the property…Pointless. Cute huh? Sip Sip Restaurant: this is one of our favorite stops when we are in town. 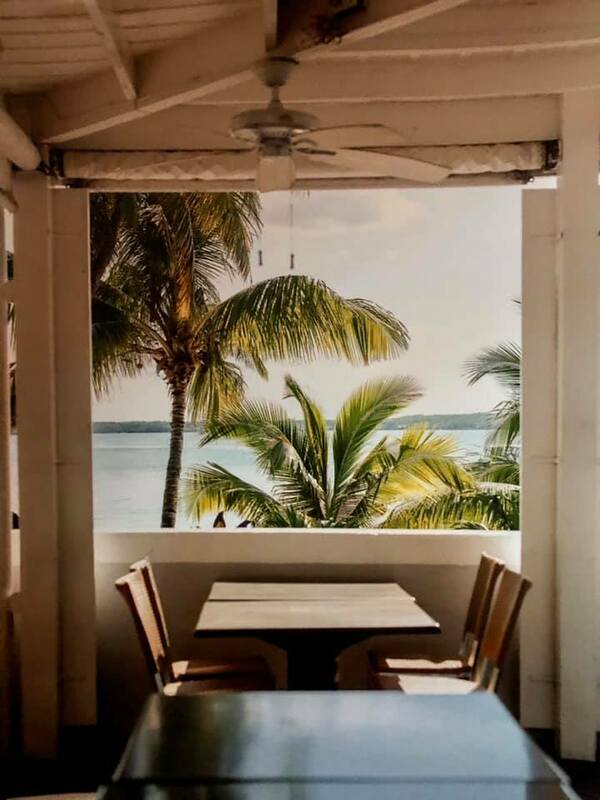 Between the view and the food, you get in vacation mode real quick. The Jalapeño margarita + lobster quesadilla is LIFE CHANGING, one of those eat before you die kinda things. (See below to make your mouth water), Darling place, view of the ocean. Incredible staff. My favorite. No reservations, but worth the wait. The Landing Restaurant: You MUST eat here. No questions asked. One of the best things about vacation is eating delicious food with a beautiful view, and this is another place that has just that and even better, they are also a hotel! 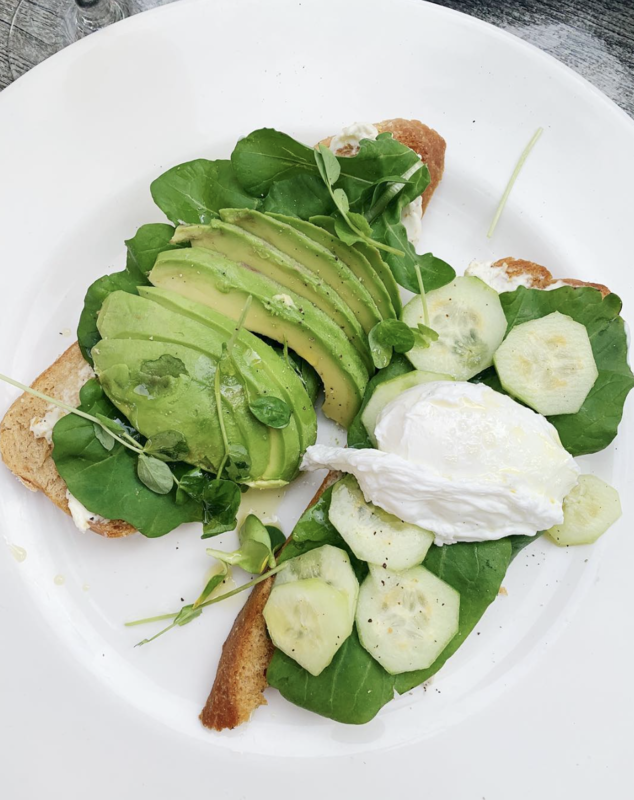 Anything on the menu is a delicious choice, but I highly recommend the banana ricotta pancakes for breakfast or the avocado toast (bc WOW lemon cream cheese is the best thing ever)…both are things to dream about after you leave. The Rock House: this is another one of our favorite dinner spots with an incredible food. Everything on the menu is amazing, but I always go with the fish options since all of their fish is locally caught that day, and usually you can watch them catch your future dinner that day, so no questions of quality here! Coral Sands Beach Restaurant- One thing I love about this place is the variation of food you can get! We had the homemade pizza, conch fritters, local catch, greek salad + lobster salad sandwich, spicy habanero margarita. I mean the list goes on and on. Great for lunch on their patio. 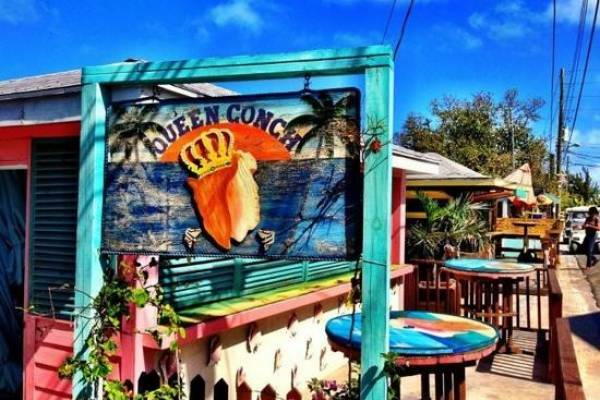 Queen Conch- this place has the BEST conch salad on the island ask..and helpful hint ..ask for it spicy and get the conch fritters. You will not be sorry! Write your order on a pad of paper and come back, but if I was you, I’d stand and watch them make it right before you eyes and make sure to strike up a conversation with Richard. Malcom 51- This restaurant is located at the Pink Sands resort and has the best atmosphere. It is an open air restaurant goes and offers live music, which is always fun. Getting a little dancing in before the meal, and then after you have a few margs of course. For food, definitely get the lobster bisque, local fish or curried stew. Valentine’s Marina - this is where the big boys go. Home of all the big yachts and fishermen coming in after a long day of fishing.They have good frozen drinks and conch fritters for a snack and pick me up after being in the sun all day. Dunmore Deli - this deli has awesome sandwiches to-go and for breakfast, their avocado toast on homemade jalapeño cheddar bread..UNREAL. Boiled fish + johnny cakes - it’s like a cornbread. OH MY YUM. The Sweet Spot: this is a great place to get a quinoa salad, smoothies or even a cold pressed juice! With being on the go and in the heat, it is a great treat to refresh and get something not too heavy as you head to the beach or the pool, and it is owned by the most beautiful sisters, with eyes the color of the water. Arthur’s Bakery is the best for a good morning cup of coffee, muffins and breakfast sammy’s. We were practically there every morning. You must try the Bahama bread. I mean. It is always fun to have a little spot or two to getaway and enjoy a drink as the sun goes down, and these little bars are the perfect place. You know you are on island time when no matter what time of the day it is, there are tons of people and many smiles going round. I definitely love these 4 bars for the people, atmosphere, and views. 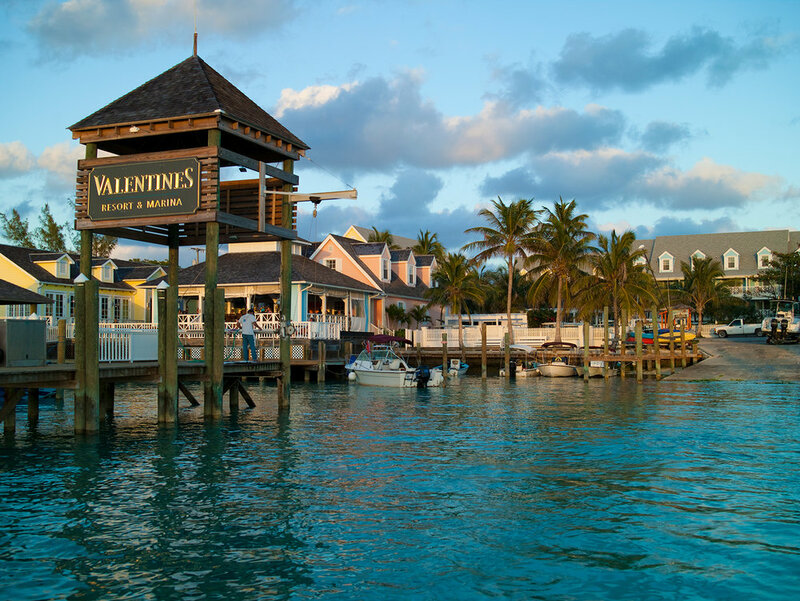 If you are not renting a house, I recommend The Dunmore, Pink Sands, Coral Sands, The Marina at Valentines, or The Landing! Each has their own special details, views and reason people keep coming back year after year. For groceries in town, we usually go to the Piggly Wiggly! Definitely get there early for fresh produce, meats cheeses - restocked daily, but you’ll never know what’s coming in. Even though it is vacation, we still love to cook and get in the kitchen, so we definitely do a lot of grocery shopping here! Tip Top- this has everything from nail clippers to homemade jam, to bedding and souvenirs.. seriously, this place has ALL THE THINGS. And is insanely neat and perfectly organized. You grab a pack of oreo’s, another one magically is restocked in seconds. HA! Farmer’s Market - this happens every Wednesday and includes local produce, local food, breads, crafts, straw market - bags, hats and handmade island finds, and they will even monogram your bag. It is all super cute and definitely where I spent a lot of my time on Wednesday and added a couple of pounds to my luggage home. But I mean…who can pass that up? 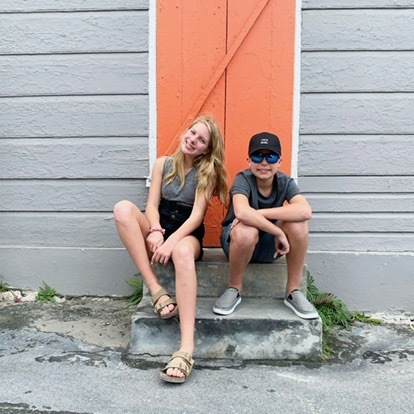 Sugar Mill- Local and super model, India Hicks darling boutique located right on the harbour front. You must pop in. Everything from gold floaties, suoer chic clothing to her signature parfumes. Housed in a building that's more than one hundred and fifty years old. Did you know she’s the godchild of the late Princess Diana. I didn’t. If you are not staying at one of the resorts, I recommend Teejays for beach chair rentals! It is $10 per chair + umbrella and BONUS? She makes a mean jerk chicken sandwich and great frozen drinks. I like her attitude too. Call her the day before and she’ll reserve your chairs, umbrellas and have everything out by 7am. So yeah we LOVE her and if you’ve got a question….she knows EVERYONE. Then right up the beach from her, you can find Marty who offers the best Bahamas experience: horse riding on the beach! I can’t say this enough, if you make your way to Harbour Island, you HAVE to do this. You feel like you are in a movie scene. Horseback riding is $60 per person for 30 minutes and located on the public access beach behind Tee Jay’s . I fell in love with the beautiful horses…Briland, Star Boy, and Tex. Like can we get a horse now? I am all about it. Michaels Cycles Rentals - You saw us riding golf carts day in and day out, and it is thanks to these awesome guys! They have golf carts and boats to rent. Michaels + John Lil’ Shans- This is a another great place for a boat rental if you want to go on a little adventure! Average boat size is 18’ -23’. Valentine’s Resort- They offer everything as far as snorkel gear goes, although it’s $50 per set (snorkel, mask, fins) so it may be more cost affective to just bring your own if you can. That can add up for a family. Although is anything cheap on vacation? As far as what I wore, I had way too much fun packing (well, not really) and finally being able to pull out all of the summer gear, especially since Nashville still isn’t ready just yet. 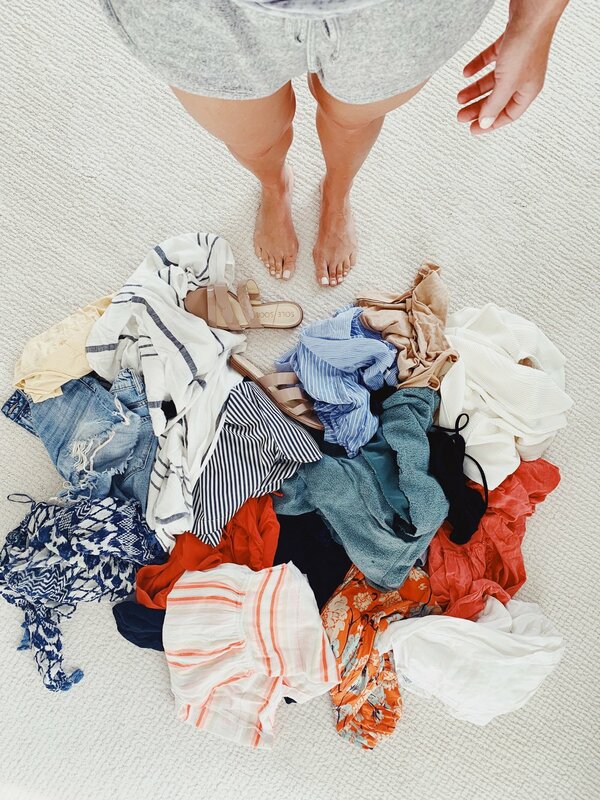 I am talking swim suits, cover ups, maxi dresses, sandals…I would say tanks and tops, but if you saw, I am the girl who decided to accidentally leave that at home….yes I know, duh Landyn! I can’t say enough how much I love Harbour Island and all of the people we meet every time we are there. The culture, the beautiful sunsets, pink sand beaches, fresh food….it’s all like being in a dream. Coming home is always tough, but it is the best thing to get a good refresher, especially quality time with our families. If you’re ever considering an Island vacay, here’s what I say…… GO and eat all the food, drink all the drinks, and do all the things! There’s nothing is better. Nothing.